A condition known as osteoporosis can commonly occur in individuals as they age, particularly in women. This condition is caused by the lack of calcium and specific bone materials. This can cause the bones to be brittle and prone to fracture. 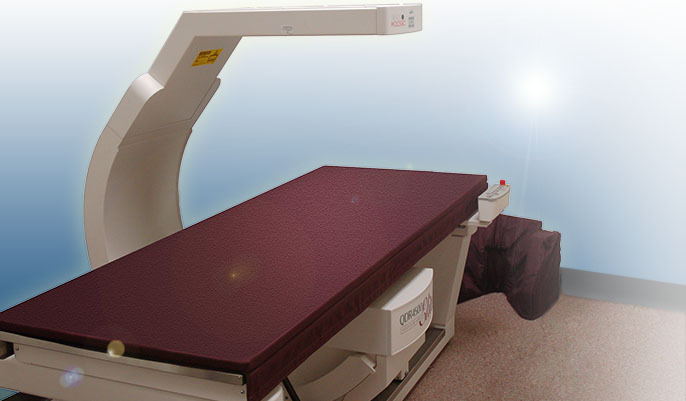 Prior to bone density scanning, diagnosis of osteoporosis could only be done after a bone had already broken. This may have been after osteoporosis had already reached an acute or advanced stage. With DXA (dual energy x-ray absorptiometry), our doctors are able to detect this condition before it occurs. This will allow you to know your risk of breaking bones well before the fact. Keeping a close watch on bone density is essential for individuals that are beginning to age in life. If we find that bone density is lacking or diminishing, preventive actions can be taken immediately. Receiving the test is fast and easy. It is also painless. Virtually no preparation is necessary before receiving the test. There are some simple tests a person can get from a local pharmacy, however we recommend you receive it from our professionals so as to get the most accurate possible results.